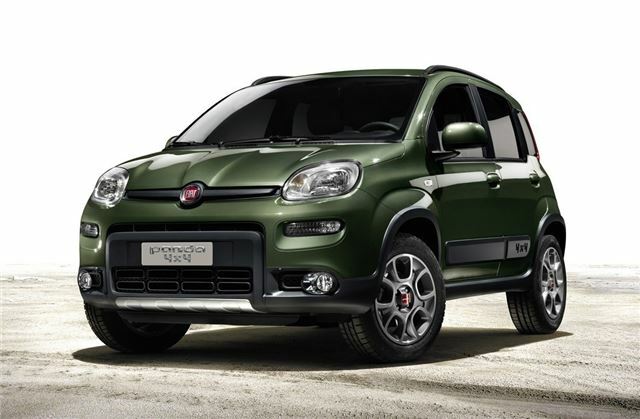 Fiat has officially unveiled the next generation Panda 4x4 at the Paris Motor Show. Based on the new Panda which was launched earlier this year, the 4x4 version gets a torque on demand transmission system with two differentials which automatically alters the power between the front and rear wheels depending on the level of grip. Like the previous Panda 4x4, the new model gets a chunkier look than the standard car with black body mouldings round the wheelarches, larger bumpers with underbody protectors at the front and back plus roof rails and unique 15-inch alloy wheels with 175/65 R15 M+S tyres. Two engines are available and both get start/stop to save fuel. There's an 85PS 0.9 TwinAir Turbo and the 1.3 MultiJet II diesel with 75PS. The TwinAir Turbo has 40% more torque than the 1.2 Fire engine in the old Panda 4x4 which should mean better in-gear performance while the six-speed manual gearbox has a low-range first gear for helping with uphill starts. The rear suspension is lighter than before to give better ride comfort and reduce noise while standard equipment includes stability control and an electronic locking differential known as ELD. Designed for slippery conditions such as ice and snow, this brakes the wheels with poor grip and transfers the drive to the wheels with more grip. It's manually switched on and works up to 30mph. Inside there's manual climate control, a CD stereo, electric door mirrors, central locking and rear head restraints. Alongside the Panda 4x4, Fiat has unveiled the Panda Trekking which looks like the 4x4 but is actually a two-wheel drive Panda with a new traction control system designed to improved handling on slippery terrain.